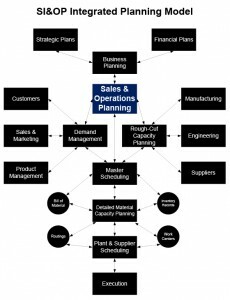 As you follow the roadmap to SI&OP success, you want to ensure effective execution and define your key deliverables. A strong SI&OP process becomes the navigation plan for senior management to “pilot” the business to achieve the desired outcomes. 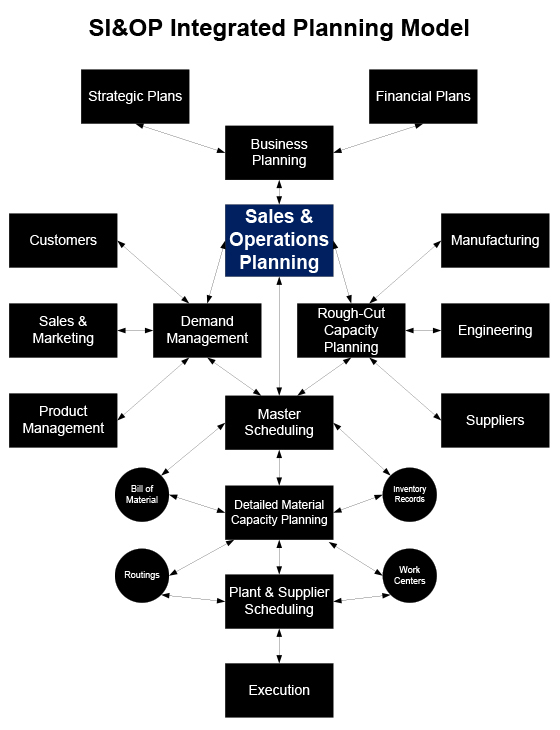 Our SI&OP Integrated Planning Model strategically ties in key areas such as sales, finance, operations, customers and suppliers to round out an effective execution model. Buy-in is established when all functional areas are engaged in providing inputs and recommending solutions to the critical demand / supply balance for the business. 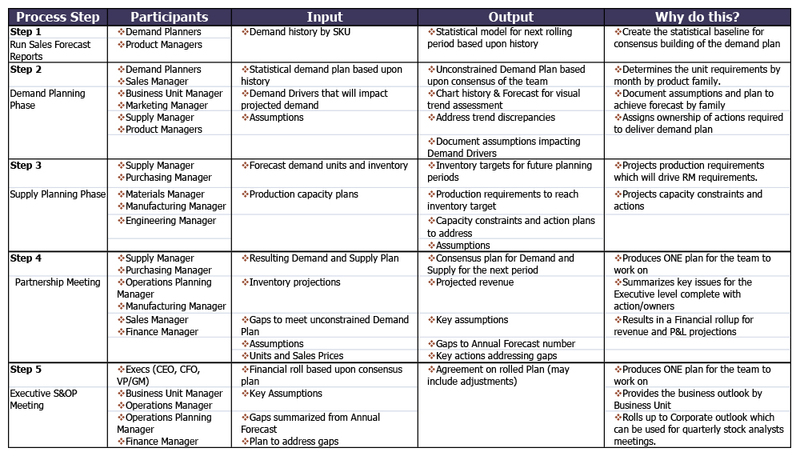 The key deliverables of your monthly SI&OP process should include the following Process Steps, Participants, Inputs, and Outputs. A well-run SI&OP process is based on continuous improvement. Every time a monthly cycle is completed — every time the team proceeds to “do it again” — the team holds a recap roundtable and assesses what can be done better. Instead of failure, team members now see an initiative where they didn’t maximize success. The insight to effectively navigate their course enables the team to serve up the strategy to the executives in a way that helps make more informed decisions. Through SI&OP, executives are now provided real facts that direct them to make competent decisions based on being able to more accurately assess the tradeoffs. In our next article, we will describe Key Performance Metrics for the SI&OP Process. Let us know if you have questions along the way and contact us.